This Monday’s Times and Seasons post went live a little late, but it’s live now. The title is The Assurance of Love, and if you want to see how a Mormon who talks about the dangers of epistemic humility works out a particularly tough pro-certainty talk (in this case, President Hinckley’s October 1981 General Conference address: Faith: The Essence of True Religion), well then here you go. I didn’t really explain the image I picked in the post. It didn’t fit. But I’ll provide the explanation here. 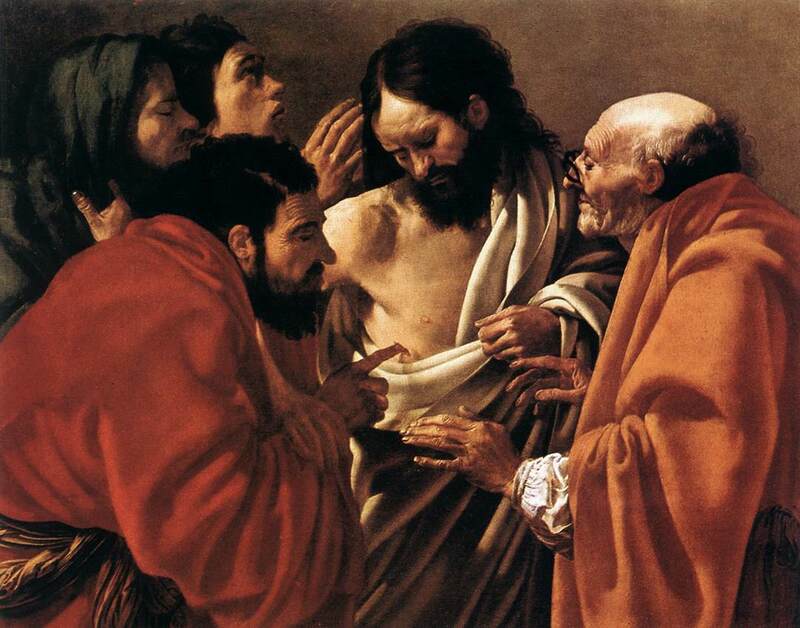 It’s a painting of Thomas doing his doubting thing (The Incredulity of Saint Thomas by Hendrick ter Brugghen), and I went with it because President Hinckley’s talk made me self-conscious about not having enough faith. Of course, I’d like to have enough faith. But maybe I don’t, and maybe that’s my fault. And, if so, then Thomas is my hope. He caught a talking-to, but He was still allowed in the presence of His Savior. I got up early this morning and the kids cooperated by sleeping until nearly eight. As a result, I was able to finish up a post for Times And Seasons: What It Would Take to Not Believe. It’s a followup to the piece that I wrote two weeks ago called As Much As I Know Anything. In particular, I wanted to respond to a question from one of the commenters: “What would it take to convince you that (in as much as you know anything) propositions such as God exists or the BoM is historical are false? Or do you consider such propositions unfalsifiable?” That’s the question that I answered today, with a little help from Paul Samuelson and Karl Popper.